A YEAR OF JUBILEE REVIEWS: Folica It's All About the Hair! Folica.com- It's All About the Hair! Folica online has every product you need for your hair care!! 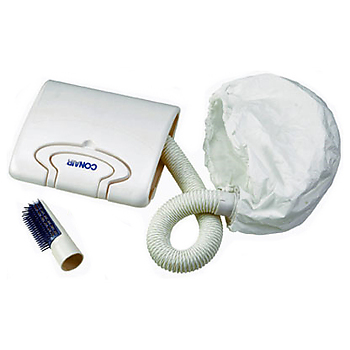 I was able to review the Conair Soft Bonnet Hair Dryer. It is great for hot conditioning and setting rollers. I don't own another hair dryers so even with the wand it was helpful in drying and straightening my hair! The hose can extend up to 4 feet so you can place the dryer on the counter and still easily reach your head without having to sit or lean over. I put it on to do a simple light dry and was able to multi-task and put my make up on while my hair was drying. Felt like I was at a spa! It works great with the hose as well and the brush attachment to finish up your hair to dry it and help to straighten. My advice is to make sure your ears are on the outside of the bonnet when you dry your hair, they get mighty hot otherwise! I am excited to get some soft rollers to try this out with. I have very long hair and to curl it takes a mighty long time. If this works good with the rollers I can get the rollers in and just finish it off with the heat before I head out the door. For $29.99 I found this to be a good product. Conair is well known for it's drying products so the name held up in this product. Easy to use, easy to store and a very useful product to have around! Visit Folica.com for all of their great products! Hot conditioning? Hmmm, I hadn't heard of that before...at least as a home idea. Great idea, and perfect product to do that with.